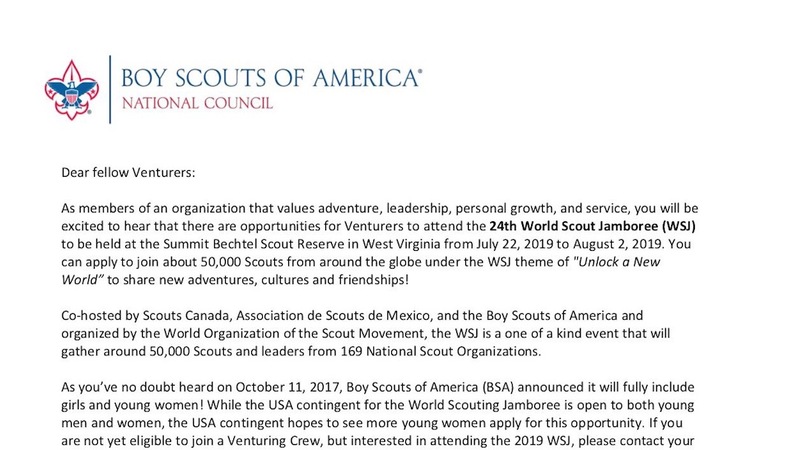 National Venturing President Michelle Merritt wrote to the Venturers of the BSA to talk about the World Jamboree. In case you missed it, we’ve reprinted Michelle’s letter here. You can also download it to share with others on our resources page. As members of an organisation that values adventure, leadership, personal growth, and service, you will be excited to hear that there are opportunities for Venturers to attend the 24th World Scout Jamboree (WSJ) to be held at the Summit Bechtel Scout Reserve in West Virginia from July 22, 2019 to August 2, 2019. You can apply to join about 50,000 Scouts from around the globe under the WSJ theme of “Unlock a New World” to share new adventures, cultures and friendships! Co-hosted by Scouts Canada, Association de Scouts de Mexico, and the Boy Scouts of America and organized by the World Organization of the Scout Movement, the WSJ is a one of a kind event that will gather around 50,000 Scouts and leaders from 169 National Scout Organizations. As you’ve no doubt heard on October 11, 2017, Boy Scouts of America (BSA) announced it will fully include girls and young women! 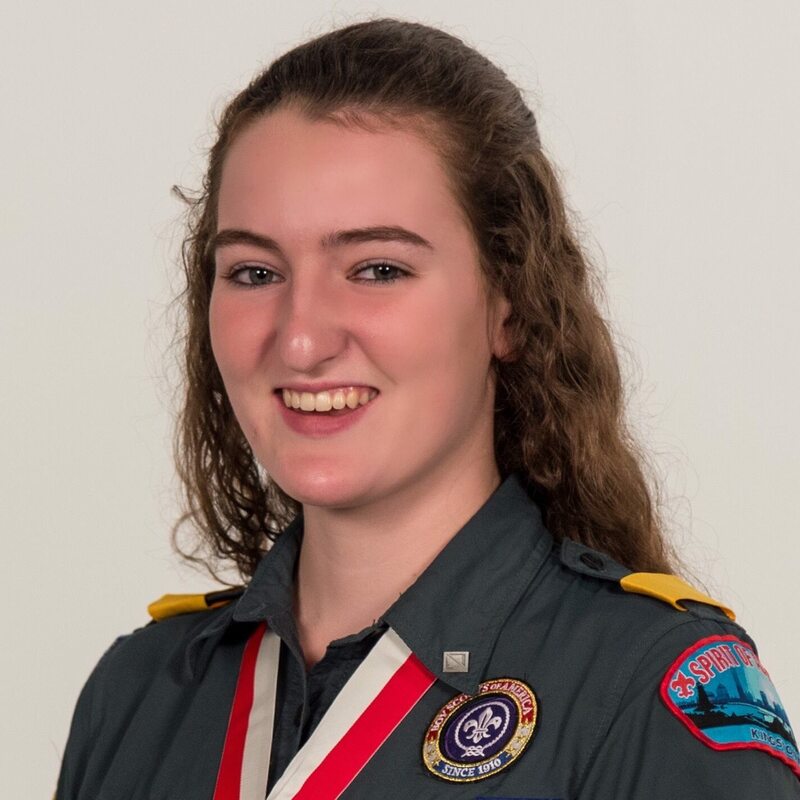 While the USA contingent for the World Scouting Jamboree is open to both young men and women, the USA contingent hopes to see more young women apply for this opportunity. If you are not yet eligible to join a Venturing Crew, but interested in attending the 2019 WSJ, please contact your local council. There are three ways to be a part of the USA contingent. Venturers age 14-17 at the time of the jamboree may join the contingent as a youth participant. Those who will be older than 17 at the time of the jamboree may attend as an adult leader or as a member of the International Service Team (IST). No matter how you attend, the World Scout Jamboree will be an adventure that you will never forget. Those interested in attending should submit their applications as soon as possible as space is limited. For more information or to apply, go to: wsj2019.us. 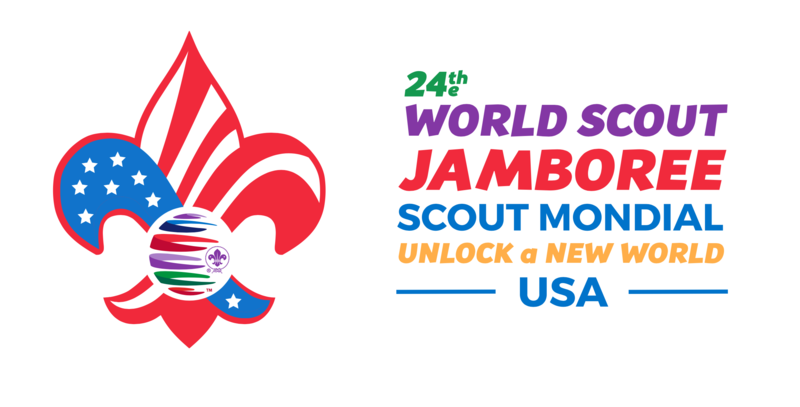 I hope you’ll apply to join the USA Contingent at the 24th World Scout Jamboree. I hope to see many fellow Venturers at the Summit Bechtel Reserve in the summer of 2019.